2019 will be another influential year for legendary British rock ‘n’ roll icons Def Leppard. In addition to being inducted into the Rock & Roll Hall of Fame on March 29th, the band will be taking over the Las Vegas Strip later this year with their exclusive headlining residency show. 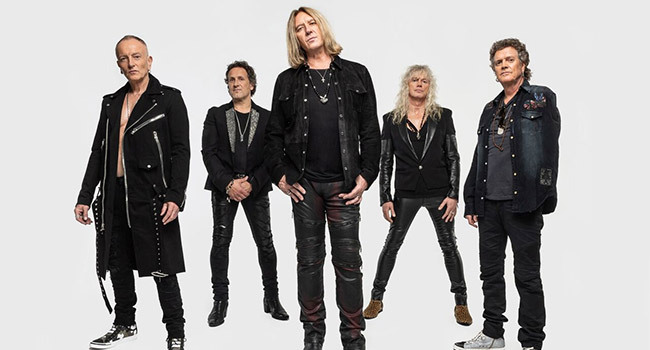 Promoted by Live Nation and Caesars Entertainment, Def Leppard Hits Vegas: The Sin City Residency kicks off Wednesday, August 14th at Zappos Theater at Planet Hollywood Resort & Casino. Tickets go on sale to the public Friday, February 22nd at 10 am PT. Fans will have first access to a pre-sale beginning Thursday, February 14th at 10 am PT through Thursday, February 21st at 10 pm PT. Citi cardmembers can also purchase tickets before the general public starting Monday, February 18th at 10 am PT through Thursday, February 21st at 10 pm PT. In addition, Caesars Rewards members, Caesars Entertainment’s loyalty program, and Live Nation and Ticketmaster customers will have access to a pre-sale beginning Wednesday, February 20th at 10 am PT through Thursday, February 21st at 10 pm PT. A limited number of meet and greets will also be available. General ticket prices begin at $69, plus applicable tax and fees, and may be purchased online or in-person at the Planet Hollywood box office. All shows begin at 8 pm.